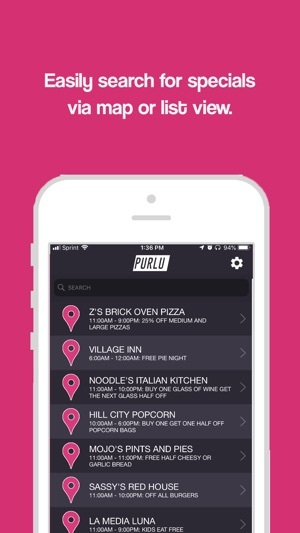 Purlu is your new go-to app that features the best food and drink specials in your city. 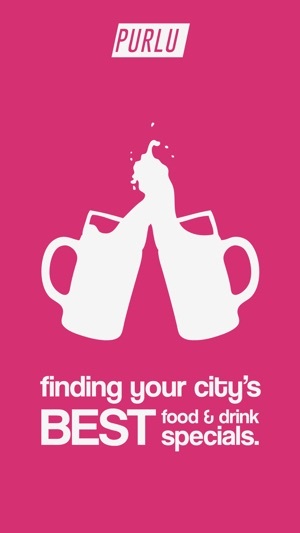 The bars, restaurants, coffee shops, etc. around you already have great daily specials. 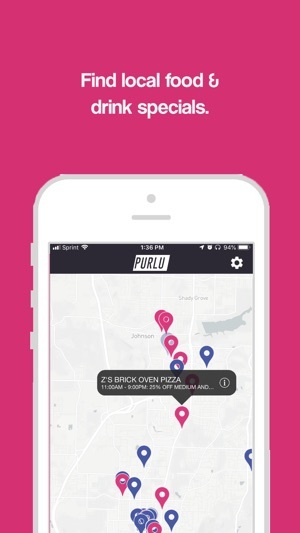 Purlu just takes those specials and puts them into an intuitive, easy to use app. 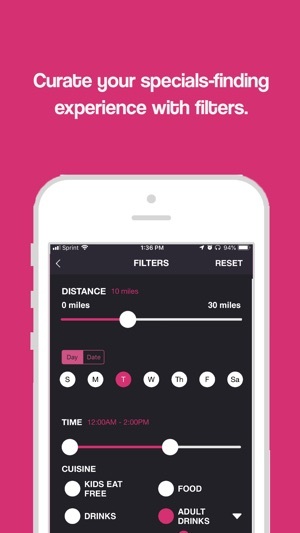 Filters within the app create a user specific experience. Grabbing a drink after work? Our intuitive filters make it happen. Too tired to cook? Not a problem. 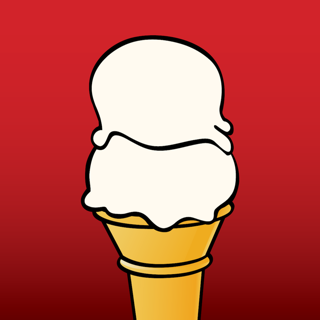 Filter for kids eat free. Find a special happening right this moment or explore specials happening later in the week. You’re in control. 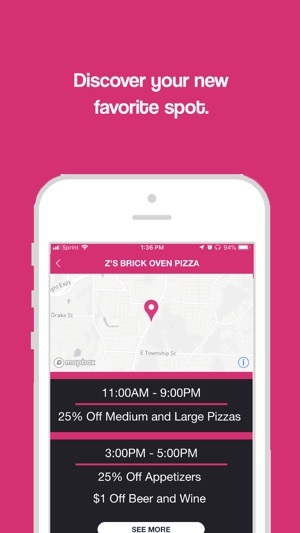 It’s cooler than coupons. It’s Purlu! Currently available in Northwest Arkansas.